We had a great time at our annual trip to Wadebridge Wines Christmas Tasting. Alan will be collecting our orders shortly and delivering them to us in time for Christmas. Our first event of 2017 will be at Keith and Lindsay's on January 30th so in the meantime we wish you all a very merry Christmas. This Chateau is listed as a destination in Trip Advisor! You will not find it in a wine list. The Chateau has been run as a B&B for some years. The vineyard has been neglected. Any pruning was just to keep it tidy. Weeds were allowed to grow amongst the vines. Many of the vines have died. Any grapes were just left for the birds! New wine makers came to live nearby and neighbours told them about this neglected vineyard, which came complete with its own winery. Now, in return for a percentage of wine produced, they can make use of the vineyard. Their first job was to scrub all the equipment in the winery before any harvest could be started. Here is a sample of the first wine made at the Chateau Le Barreau for many years. Not many of the Pinot Gris grapes were viable, and they were made into the rosé wine, some of which is here today. It was made as simply as possible, doing the minimum of filtering. More Pinot Noir than Pinot Gris grapes were viable. The first Chateau Le Barreau Pino Noir from 2015 should be coming to the UK soon. Love a Pinot Grigio? This more flavoursome style of French wine could be your new best friend. Made in the picturesque Alsace region, it’s crisp, fresh flavoured and with just a hint of sweetness. Fruity, golden and bursting with flavour, it’s a little treasure well worth hunting down. Taste: Flavourful and refreshing with a hint of honey and spice. Food match: perfect with spicy food like Chinese or Thai, or for sipping in the sunshine. Your tastebuds are in for a treat with this soft, fresh, blush Italian Pinot Grigio. Say cheers to this one as a pre-dinner drink, or fill your glass with it when you're serving fish or pasta for dinner. Packed with lovely Pinot Grigio grapes from the Veneto region of Italy, it's a wonderfully summery wine for sipping in the garden as the sun sets, but it's also very versatile with food. A wine with an attractive 'blush' pink colour and delicate wild-strawberry flavours, balanced by a crisp citrus finish. Despite the Latin name, a Cornish wine. Made at Knightor winery, Trethurgy, from grapes grown in their vineyards at Portscatho and Seaton near the south Cornish coast. I had been looking for wine made from Pinot Gris grapes, to compare with today’s mistery wine. When I saw Knightor’s brochure I thought I had found some. When I asked in their shop for Pinot Gris, I was told that the small amount they had had, had been used up in blending their sparkling wine. Their Carpe Diem (“seize the day”) was recommended as the nearest for my purpose. I decided to seize the wine. Grape varieties used in this white wine were Huxelrebe, Bacchus, Reichensteiner, Chardonnay. All grapes were picked by hand and fermented cool in stainless steel tanks to preserve freshness and fruit characters, before blending only 2 months after harvest. Nose: Displays delicate fresh fruit and floral hedgerow characters. Palate: The wine is dry and crisp on the palate giving generous citrus flavours and excellent purity. Food matching: Designed as a fresh, easy drinking wine it can pair perfectly with a wide array of light salad and fish dishes.Try with pan fried bass and crushed new potatoes in herbs and butter. Our September host, Jenny, surprised us all on a wet Monday afternoon with a sparkling theme. As Jenny rightly pointed out Prosecco is all the rage at the moment whereas Cava used to be the alternative to Champagne so we set out to taste the new fashion versus the old fashion. We started with a Zonin Prosecco. Established in 1821, Zonin has become Italy's largest privately-owned winery, and are owners of Italy's largest Prosecco vineyards. This example is made from grapes grown only in the DOC region within Veneto and as such, is entitled to use the Prosecco name on the bottle. Deliberately light and refreshing in style, with a palate of fresh pear and dessert apple fruit, further lifted by subtle floral and almond aromas. Delicately off-dry, with a clean finish. We all enjoyed this and noticed the bubbles were quite pronounced in the glass and on the palate. most famous Cava in the world. Made from a blend of traditional Cava grapes including Macabeo, Parellada and Xarel-lo, this is a zesty, lemon-scented sparkler with flavours of melon and peach fruit. Great aperitif, and a terrific match for cured meats too. We found this drier than the Prosecco with a "softer" fizz on the palate. Whilst we all agreed that either would be very welcome the vote was 7 to 1 in favour of the Prosecco if forced to choose one over the other. A very enjoyable afternoon as usual and our thanks to Jenny for hosting us this month. 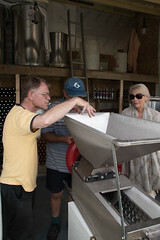 owner with his wife Sue, treated us to a fascinating afternoon in the vineyard. 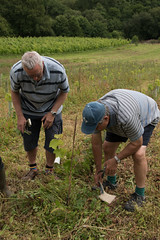 Very sensibly he set the group to work as he showed us some newly planted vines which were due a spot of pruning. Equipped with a piece of carpet, a pair of secateurs and a nifty tool for securing the vine to a stake we soon became "experts"! As we walked through the vines Charlie gave us a fascinating insight into the workload involved in tending them. He happily answered our many and varied questions, and certainly filled in lots of gaps in our knowledge. Never a dull moment would seem to be an understatement when running a small family vineyard. down to the serious business of tasting some Looe Valley wines, 2 rose (Schonburger Pinot and Pinot Bacchus) and 2 white (Bacchus and Solaris). Charlie also gave us a brief lesson in how to taste wine. As ever we all liked something slightly different, but there was one thing we were all agreed on - a fascinating afternoon in which we learnt a lot, and some very interesting and different wines. The fact we all purchased a bottle showed how impressed we were with the product. So our thanks to Charlie and our very good wishes for the future of Looe Valley Vineyard. More information on their website. 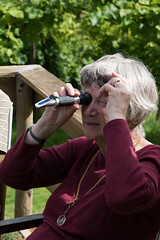 The July Tasting will be held at Helen's house on 25th July. For our August session I have set up a visit to Looe Valley Vineyard. Due to the bank holiday we have moved our meeting to the previous Monday - 22nd August. As we have all done various visits to vineyards I have asked Sue to give us a quick tour of the grounds and premises but to avoid the standard talk on grapes and wine making. Instead I have suggested she tells us a little about being a small artisan producer and what difficulties or opportunities this gives her. Provided we are a group of 10 or more the cost will be £6 per head for the tasting. They do not have catering set up but we are welcome to take a picnic. June's meeting saw us able to enjoy our tasting outside in the lovely setting of Nick and Jo's garden. Their recent travels through France and Spain provided the inspiration for June. We had a blind tasting of three wines, one white and two red. We knew that one was from France, one from Spain, and one was a cuckoo on the nest. Our task was to identify each one's country of origin. We all picked out the cuckoo but only half the audience split France and Spain correctly! A fun afternoon was had by all, thanks to Nick and Jo. 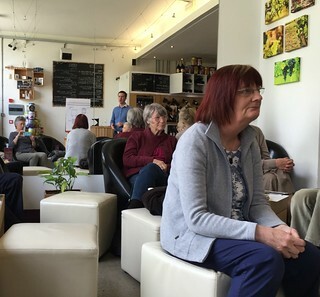 Our May meeting was a trip to Le Vignoble at Royal William Yard in Plymouth. This is a wine bar and merchant based in the Cooperage since 2012. Everyone had a great time! Yannick is an entertaining host, but most importantly a very knowledgeable host, who is also a great communicator. He started the afternoon with a great explanation about the theory of wine making which gave us some extra knowledge even though we all had a basic understanding. 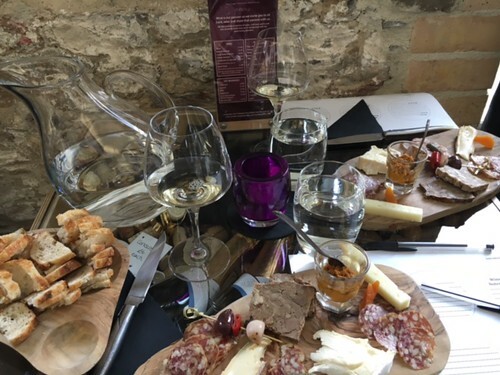 The group had chosen to have the tapas with our tasting and that was a good call - a lovely selection of charcuterie, cheese, pate, olives and some great bread. We tasted 2 whites, a rose and 3 reds. This included some new grapes to us - Gros Manseng from France and Zweigelt from Austria. Wines from New Zealand, France, England (Cornwall and Dorset), and Austria were tasted. Yannick also discussed how we should taste the wine and how we should judge if it was good value for money, whether it was to our liking or not. 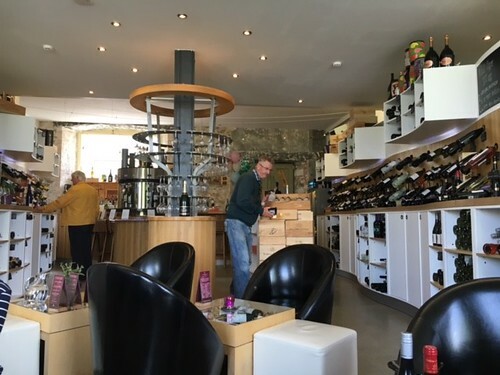 Two hours passed in the blink of an eye and our only regret was that the taxis to the station came before we had time to look around the interesting array of wines and equipment at Le Vignoble. Overall an excellent event and it will not be long before plans are made to return to Le Vignoble for more tasting experiences! Thank you Yannick and team for a great afternoon. The Gavi docg is situated in the southern part of Piedmont in north-western Italy. Its name derives from the town of Gavi which is at the centre of the production zone. Gavi is still considered Piedmont's white jewel in the crown. It gained docg status in 1998 and its vineyards are mainly found in the hills of 13 communes in the province of Alessandria. Gavi was Italy's first white wine to gain international repute and is still considered one of the top-ranking Italian wines today. Gavi is noted for its bone-dry character and crisp, flinty and fresh acidity, coming from the mineral-rich soils of the area. It is generally considered an excellent partner to seafood. Campofiorin was first made in the gentle hills of Verona, in north east Italy, in 1964 as the result of a technical experiment, ie refermentation of the best Veronese wine made of freshly picked grapes on the lees of Amarone. The production technique was further refined by Masi to make a wine that has become liked and sought after all over the world. this technique involves refermenting the wine with added lightly dried grapes of the same varieties. This results in creating a wine with rich aromas and an ample body that stands somewhere between the friendly simplicity of Valpolicella and the complexity of an Amarone. The wines were bought from Waitrose forabout £10 each. This month's host, Ronald, chose New Zealand as our destination in honour of his grand-daughter who lives there. 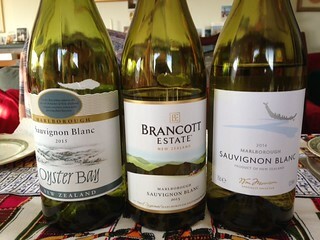 We blind tasted three Marlborough Sauvignon Blanc wines. Unusually we all agreed on our favourite with second and third being a close fought contest. "Showing pronounced aromas of gooseberry and tropical fruits, alongside a subtle herbaceousness. Crisp, elegant and refreshing." "New Zealand in a glass...vibrant and lifted aromas of ripe tropical fruits and gooseberry. Bracing acidity is tempered by concentrated green fruits, citrus and hints of grass with a reviving fresh finish." "Zesty gooseberry and passion fruit flavours with a bright citrus finish"
Our February meeting was the first after the U3A Open Day and we were delighted to welcome three new members to the group today. Christine had chosen a most unusual "theme", having sourced two wines from Georgia. We started by poring over the atlas to determine where exactly Georgia was before moving on to taste the wines. A dry, gently-textured and quince-flavoured wine, this intriguing white is something well out of the ordinary. Produced in Eastern Georgia, this is an “amphora” wine using an ancient and traditional maturation method unique to the region. About this bottle: The grape juice and skins are fermented together, then partially matured in large clay jars known as Qvevri that are buried in the earth for several months, developing the wine’s rich, unique style. This wine has attractive aromas of honeysuckle and melons with intriguing flavours reminiscent of peach, fresh ginger and Chinese five-spice. About this bottle: A complex and hugely flavour some dry white produced from Rkatsiteli, which some say was the first vine planted by Noah after the flood. True or not, Georgia is certainly an ancient grape growing region with evidence of vines as far back as 3000 BC. Château Mukhrani is situated in the Kartli Region surrounded by mountain ranges that keep refreshing breezes circulating amongst their healthy vines. The consensus was that the group preferred the first one as the spice on the nose of the second was a little overpowering. We all greed that this is not a wine we would have tried but for Christine's suggestion so full marks to her for inventiveness! "This refreshing and light-bodied Grüner also has a rounder, riper aspect, referencing flavourers of red apple and green pear. While the nose does not give away that much, concentration characterizes the midpalate before an easy, super-clean finish. " A heady, minty nose is joined by fuller fruit of green and yellow pear. On the palate, highlights of pepper appear amidst lemon and grapefruit peel. This is sleek and slender, with wonderfully zesty concentration and brisk freshness. Take your time drinking this, there is a lot going on. The Wachau region of Austria comprises of a 33 kilometer long gorge overlooking the Danube river. Produced from vines grown around the Weissenkirchen parish including the hamlets of Joching and Wösendorf. Grüner Veltliner is an aromatic variety primarily from Austria. The colour of fresh straw, an alluring nose of gooseberries with a hint of green apple and flowers. Well balanced acidity and citrus fruits leading to a spicy, lively wine of minerality and elegance. Drinkable at any time over the next six years. An excellent accompaniment to Prosciutto, seared scallops, bisques or gorgonzola. The Wachau is a UNESCO cultural landscape with a 2,000-year heritage in viticulture. The area is a 33km stretch of the Danube valley, situated about an hour’s drive by car from Vienna. Wachau is one of Austria's most established and notable wine regions, specializing in dry wines made from Riesling and Grüner Veltliner. Located in Lower Austria along the Danube, west of Vienna and Krems an der Donau, it is one of the western most wine producing regions in Austria with only a few scattered plantings in Tyrol being further west. While most of Austria follows a wine classification systems based on ripeness and harvest must weight that parallels the German wine classification system, Wachau wines have a unique classification system. The three classification levels for Wachau wine include Steinfeder for wines up to 11.5% alcohol level, Federspiel for wines between 11.5–12.5% and Smaragd that must have a minimum of 12.5% alcohol level. Despite its renown, the Wachau is a small wine region that usually accounts for only around 3% of Austria's wine production. "Until the 1990s very few wine lovers outside Austria had even heard of Grüner Veltliner. Today, no self-respecting restaurant wine list, whether in New York or Hong Kong, can afford to be without at least one example of this, Austria's signature white wine grape. I would submit that this is only partly because of Grüner Veltliner's undoubted inherent character and quality. Another reason Grüner Veltliner has impinged on the consciousness of the wine world recently is that the quality of all Austrian wines has become so excitingly and consistently high that no fine wine enthusiast can afford to ignore them. And since it is Austria's white wines that are even more distinctive than her reds, it is inevitable that the country's most planted grape variety will gain recognition - especially since Austria's other major white wine grape is Riesling, which has, unfortunately, not been an easy sell for half a century. As a confirmed Riesling enthusiast, I was slow to recognise Grüner Veltliner's charms. For a long time I thought of it as a poor second to the great Riesling in Austria's wine lexicon. When it's overcropped it has - like any other grape variety - much less character. But in general Grüner Veltliner produces very refreshing, tangy wines with a certain white pepper, dill, even gherkin character. 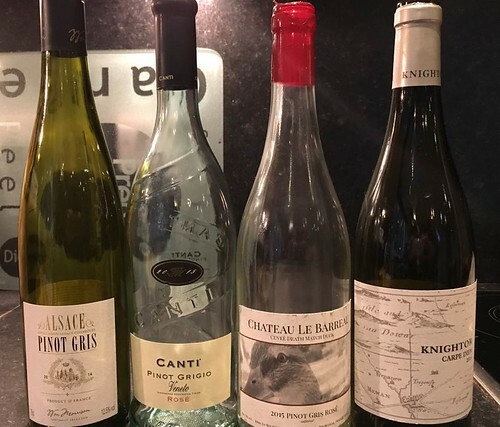 The wines are spicy and interesting and in general this is because of the grape's own intrinsic qualities because the great majority of them, unlike Chardonnays, see no new oak. They are generally fermented in stainless steel and aged either in tanks or very old, large casks, although there have been recent experiments, not always successful, with barrique-aged Grüner Veltliner. One vine in every three grown in Austria is Grüner Veltliner, and in Lower Austria [Niederösterreich] in the north east of the country, this proportion rises to one in every two. The vine is hardy and naturally productive so that from the less distinguished vineyards of Lower Austria come large quantities of relatively neutral Grüner Veltliner, some of it used as base for Sekt. Much of the Grüner Veltliner grown around the city of Vienna is drunk very young in the famous Heurige inns in its suburbs. But the finest Grüner Veltliners in the world come from seriously distinguished sites, with the greatest concentration of them being west of Vienna on the Wachau's famous south-facing terraces on the bank of the Danube - the ripest examples being labelled Smaragd - and on similar slopes in Kremstal and Kamptal. For many years Grüner Veltliner has also been grown just over the Czech border in the Czech Republic, as Veltlin or Veltlínské Zelené, and just across the Hungarian border in Sopron where it is known as Zöldveltelini. But since top quality Grüner Veltliner has begun to make an international impact, we can expect to see the variety being planted much further from Austria. The vine ripens relatively late, which will limit it to relatively warm climates, but there are already plans afoot to plant it in Central Otago in southern New Zealand. The only likely brake on its expansion, the difficulty English speakers have with pronouncing the name, has already been addressed. Some retailers and even producers, call it Gru-Ve. Grüner Veltliner means literally 'green grape from the village of Veltlin in the Tirol', and it has been commonly believed that it must be closely related to two other varieties making something of a comeback at the moment, Roter Veltliner and Früher Roter Veltliner, otherwise known as Frühroter Veltliner. Nowadays however we have access to DNA typing which can identify once and for all the relationship between different grapevines (and everything else with a genetic make-up). 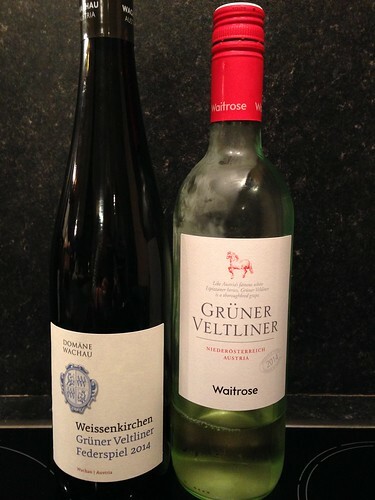 This shows that, while Frühroter Veltliner is the result of a crossing between Roter Veltliner and Silvaner, there is no relationship at all between Roter Veltiner and Grüner Veltliner. Roter Veltliner turns out to the parent of two other Austrian grape varieties, Rotgipfler andNeuburger, and is today much less widely planted than it once was. At one time it was grown in Lower Austria for table grapes as well as wine. Today it can produce some rich, aromatic wines in warm years, particularly in Donauland's Wagram district."